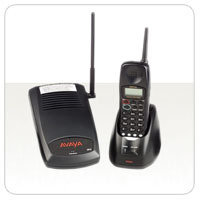 The Wireless Telephone is an ETR telephone designed to work with Partner (all releases) and Magix (Legend R7 or later) using an ETR station port. This exciting new mobility offer is designed for customers with local mobility needs like small retail locations, warehouses and other businesses that need wireless access within 80,000 square feet (in an average business environment). 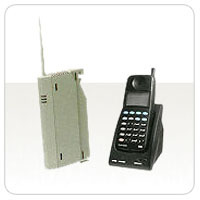 It offers the mobility inherent in a wireless telephone plus access to a number of features and functionality of the connected communications system. 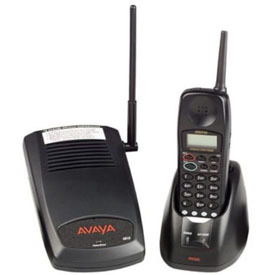 The 3910 wireless telephone uses 900 MHz digital technology and offers the average business environment a handset range of 160 feet from the base station. 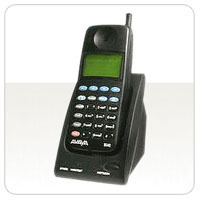 Each 3910 Telephone requires its own base unit. Multiple 3910 phones may be operated in the same wireless coverage area or zone. 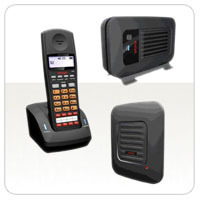 It is recommended that 3 to 5 3910 wireless telephones may be connected to the same system and operated in the same area. 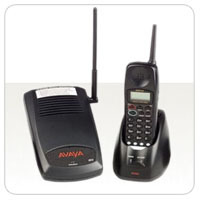 With proper site engineering, a maximum of ten 3910 wireless telephones can be connected to the same system. Proper spacing of the base units is required for optimal operation.